Free Downloading links of Tamilnadu Teacher Eligibility Test (Tntet) – 2017 Previous papers are available here. Download Tamilnadu Teacher Eligibility Test (Tntet) – 2017 Old Question papers for free of cost. Also, get the Tamilnadu Teacher Eligibility Test (Tntet) – 2017 Model Papers along with Answers from the below sections. Get the Tamilnadu Teacher Eligibility Test (Tntet) – 2017 Last Five years Question papers here. The candidates can download them in pdf form for free of cost. The Tamilnadu Teacher Eligibility Test (Tntet) – 2017 Model Papers will assist the candidates in preparation. We have also provided the Solved Papers and Model Papers with Solutions. So, the candidates can practice using them. Also, Check the Tamilnadu Teacher Eligibility Test (Tntet) – 2017 Syllabus and Exam pattern also at least once before attending the exam. Bookmark Our Site to Know the Latest Regular Updates of All Government Jobs. Tamilnadu Teacher Eligibility Test (Tntet) – 2017 has recently published a recruitment notification to fill the TNTET vacancies in the Tamilnadu State. So, the interested candidates can apply for the posts of Teacher Eligibility Test Exam. There are [ Updated Soon ] vacancies in the organization. So, all the concerned people Hurry Up! Apply for the Tamilnadu Teacher Eligibility Test (Tntet) – 2017 Recruitment before the last date. Applicants who are appearing for the Written exam can check the Tamilnadu Teacher Eligibility Test (Tntet) – 2017 Syllabus & Exam Pattern 2017. Here is the direct link to refer complete Tamilnadu Teacher Eligibility Test (Tntet) – 2017 Exam Syllabus. So the Applicants can just click the link provided below to download the Syllabus along with Exam Pattern. The Tamilnadu Teacher Eligibility Test (Tntet) – 2017 Syllabus & Exam Pattern 2017 of Tamilnadu Teacher Eligibility Test (Tntet) – 2017 are the two most essential aspects for the exam preparation. Since, you will know the scheme of exam like subjects covered in the exam, marks, and time duration by checking the Tamilnadu Teacher Eligibility Test (Tntet) – 2017 Exam Pattern. Are you seeking for the Tamilnadu Teacher Eligibility Test (Tntet) – 2017 Previous Years Question Papers? Then you reached the right place for downloading Tamilnadu Teacher Eligibility Test (Tntet) – 2017 Old Papers. 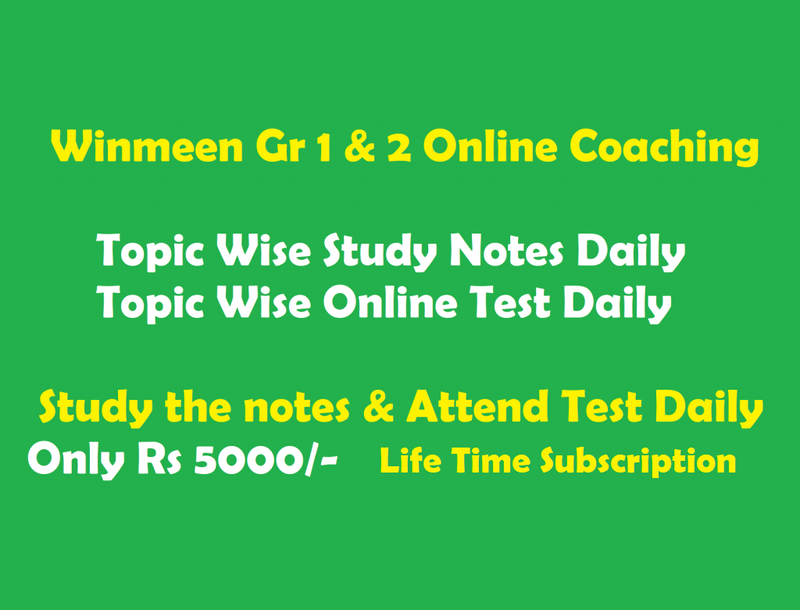 Here, winmeen.com is providing the direct links for free download of Tamilnadu Teacher Eligibility Test (Tntet) – 2017 Sample Question Papers. Interested applicants can download the Last 5 Years Tamilnadu Teacher Eligibility Test (Tntet) – 2017 Exam Question Papers along with the Answers. Just click the links to download the PDF Files of Tamilnadu Teacher Eligibility Test (Tntet) – 2017 Previous Papers. Applicants can use the Tamilnadu Teacher Eligibility Test (Tntet) – 2017 Model Question Papers just as a reference for the preplanned preparation.